I love the look of fresh K-Series engines, especially the valve covers. But after years of driving around with your car the shiny covers look terrible. 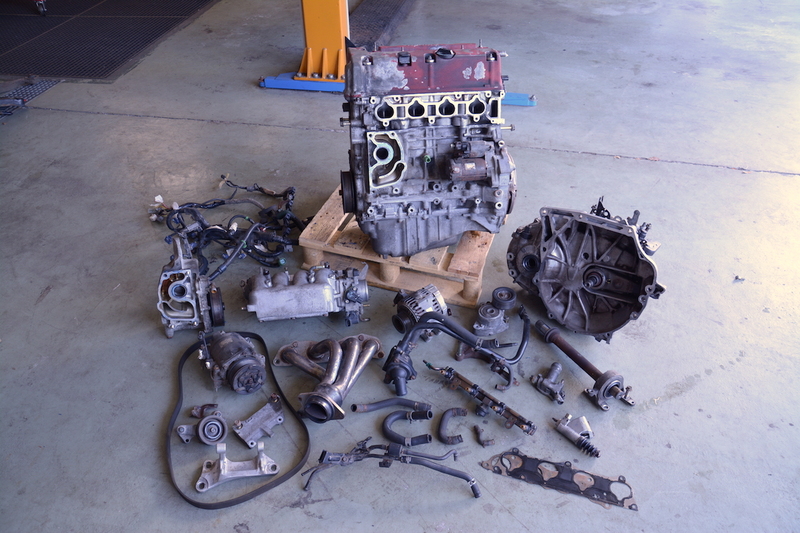 The paint flakes off and dirt particles and old engine oil are "burned in". Time for a new paint job. I wanted the original red "wrinkle" style for my engine. 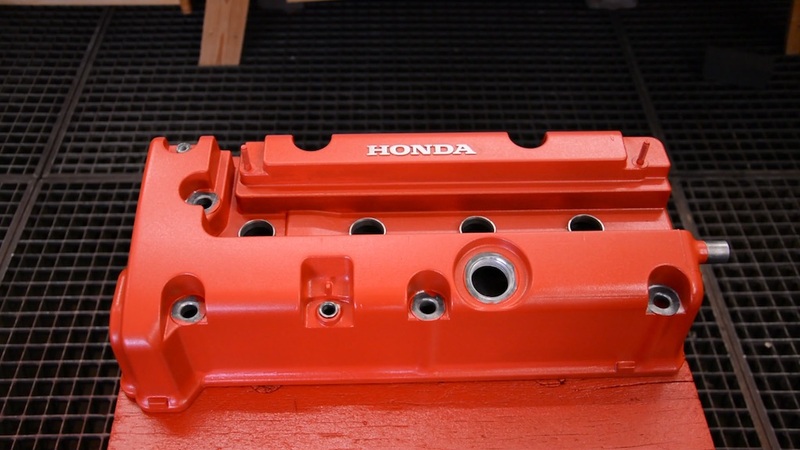 The valve covers of the K-Series engines from European Civic Type-R and Japanese Type-R models came with this red covers from factory. The old dirty paint (or the rest of it) needs to be removed. You can do this by using sandpaper but it would take hours! I used a wire brush in combination with a drilling machine - way more faster. The metal won't be damaged as long as you don't push the wire brush too hard on the cover. 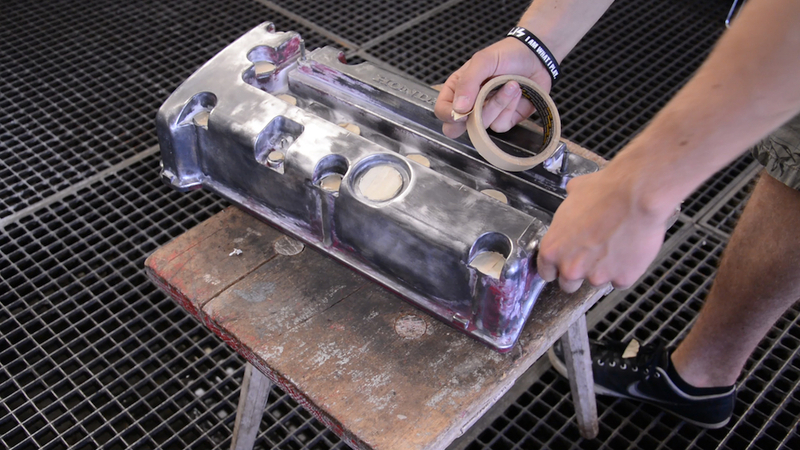 It's very important that the surface of the valve cover is free of any remaining dirt, paint particles and grease. 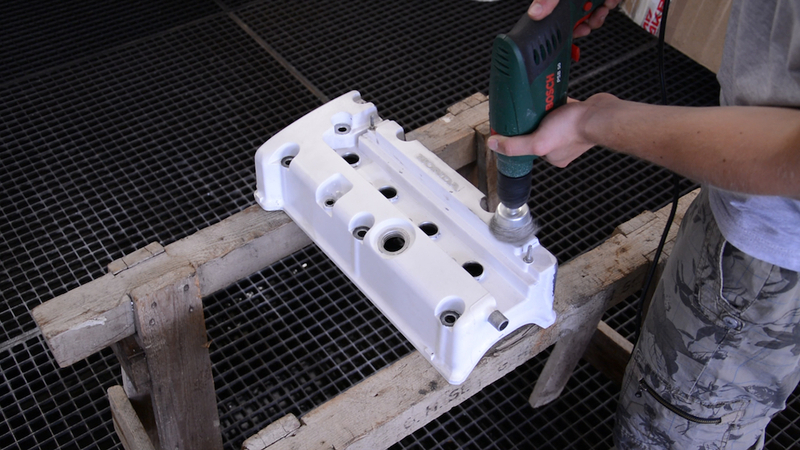 To provide this make sure to clean the piece intensive by using a powerful cleaner. 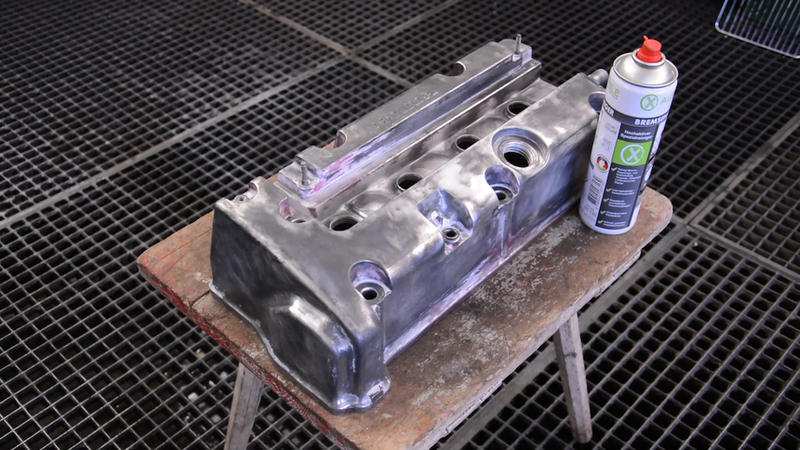 The inner of the valve cover should be protected from any paint particles. We don't want them in our engine oil later. Mask-off all bolt holes, spark plug holes and the recess on the right side of the cover. Regular masking tape works well here. You don't need to protect the 'Honda' lettering on the top because we'll grind it free from the paint later. Put on your gas mask! Now things are getting more interesting. 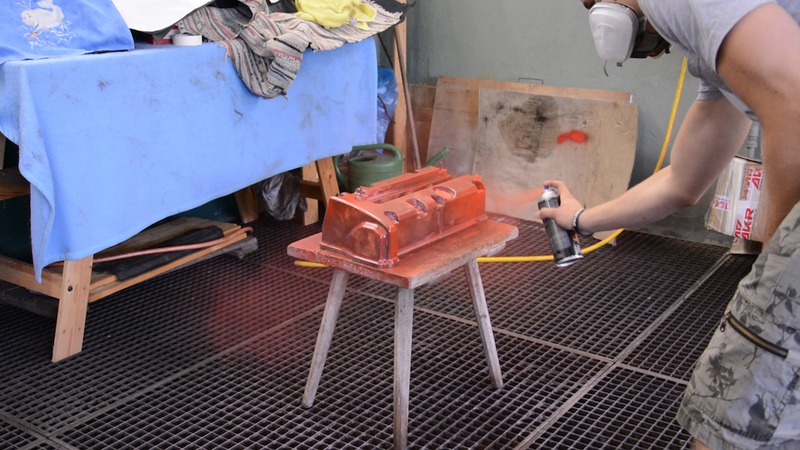 After you'd shake the spray can for at least two minutes you can start to apply the paint. Thin but more layers will give you a better result than thick and less. Wait about five minutes between each layer. The wrinkle effect is minimal right after the painting. 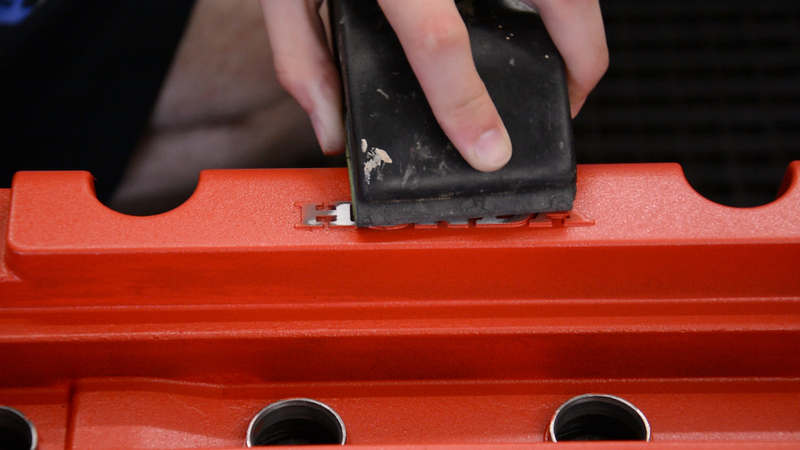 To increase it, you have to heat up the valve cover to about 200 °F (93 °C) as long as the cover hasn't dried. 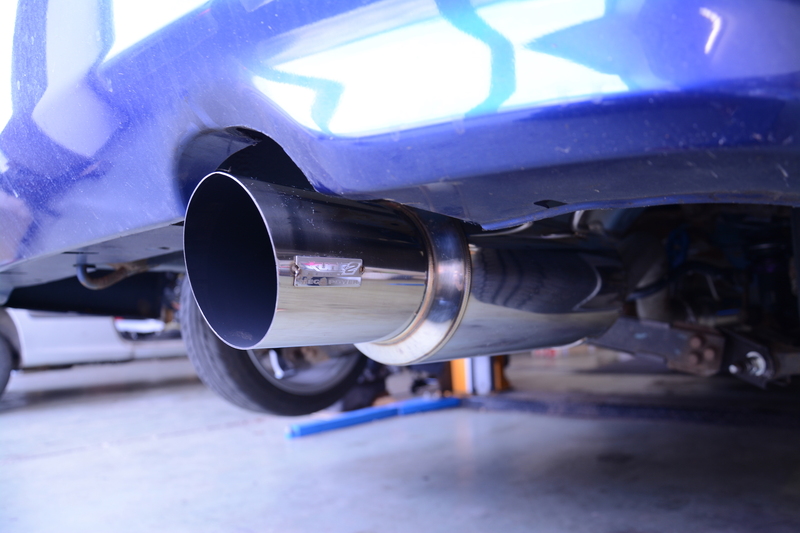 A heat gun, radiant heater or an oven will help you here. I left out this step, because I didn't want any more wrinkle. The minimal rough surface without heating up was perfect. Since we oversprayed the beautiful 'Honda' lettering on the top of the cover, we have to grind down the paint from it. Use a very fine sandpaper here, that the metal won't be damaged. Look at this beautiful valve cover, you're done!